DLL is Expanded as Dynamic Link Library that are small files inside your windows computer.You can find these DLL files inside the folder windows/system32 under your driver where you have installed the operating system.Each DLL files are a small package of files that are made to perform a unique function.DLL files cannot be executed separately as they depend on a program to call them.For example whenever you need to use the printer the respective DLL files will be called to perform its function. 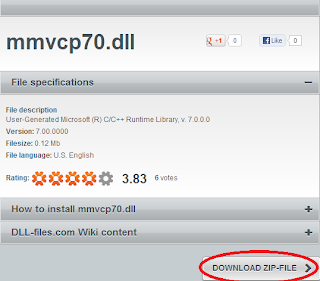 Advantage of using the DLL file is to save the memory and make the execution faster.For example a small DLL file can be programmed to find the free space available on the hard disk and whenever an application needs to calculate the free space on the disk,this DLL file can be called.This allows the application code to eliminate function of finding the free space as it is already programmed inside the DLL file and thus making the program smaller. How To Install A Missing DLL ? When a DLL file that is associated with a particular task is missing and your computer will pop out an error message whenever you open an application which require those DLL files. Inorder to install a missing DLL file just note down the name of the missing DLL file and visit this website : DLL-Files and search for that particular DLL file. 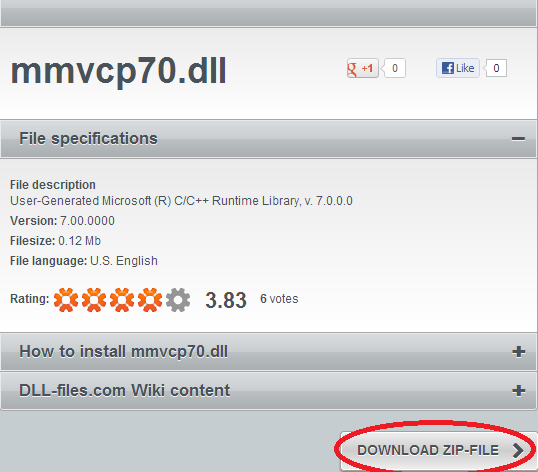 Download the Zip file and extract the DLL file inside the windows/System32 folder and Finished. If this post has helped you then please do not forget to share it.